Get a look behind the scenes of Haven's exploding van scene. Check out the Season 4 DVD for the full behind the scenes scoop! Video includes commentary from Haven's special effects coordinator Gary Coates and executive producer Shawn Piller. 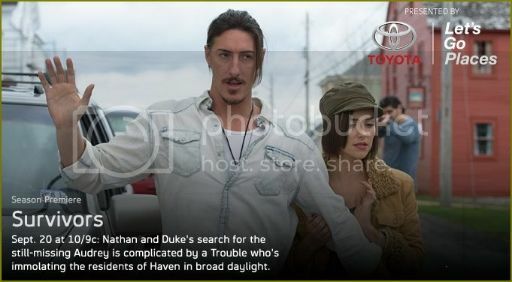 CLICK HERE TO VIEW THE EPISODE TRAILER FOR HAVEN'S 'SURVIVORS,' AIRING FRIDAY, SEPTEMBER 20, 2013 AT 10/9C ON SYFY.